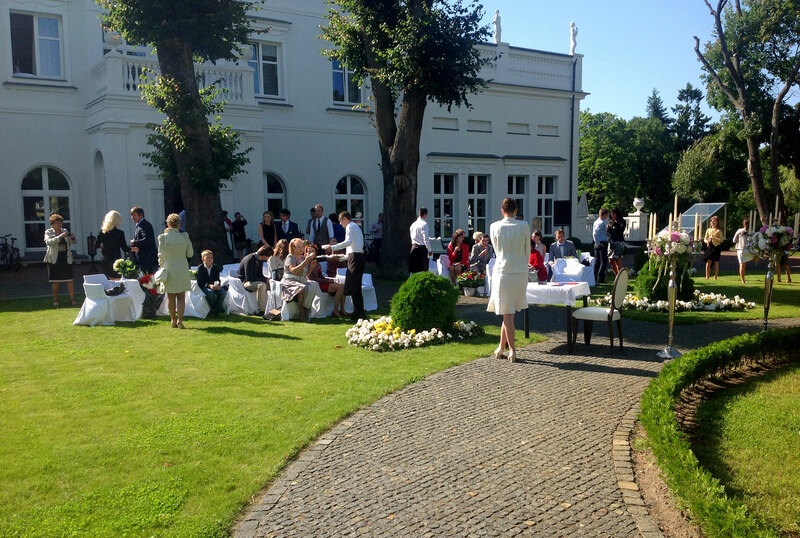 A wedding in the Schloss Hotel is a sign of respectability and true taste. Schloss-Hotel is closed around by the ancient trees that bear silent witness to many a romantic story. Once a pleasure dome of the Prussian monarchs where noblemen shone at balls,it is now the place where superb receptions and banquets to a common man’s pleasure are held! 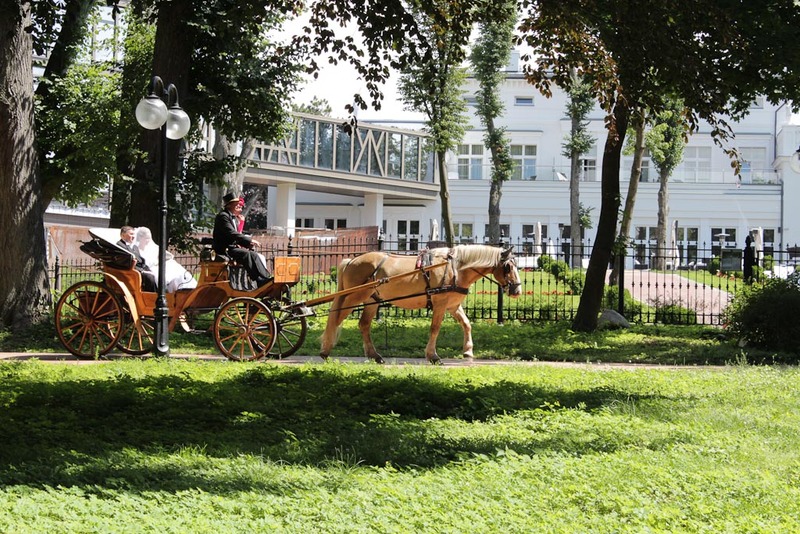 Luxury of the hotel interior, ancient park and the seashore build up an exclusive space for your event. 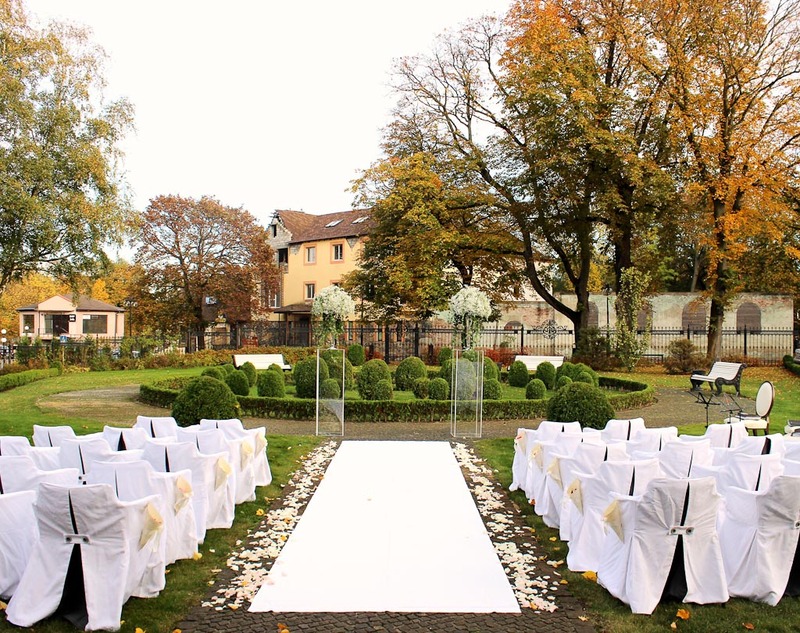 Your dreams of a beautiful and romantic ceremony may come true if you decide to choose the Schloss Hotel as a scene for your festivities. 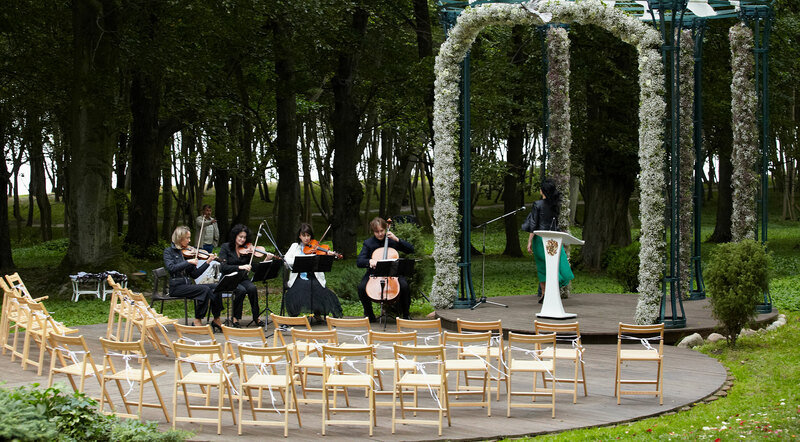 We know what’s what in the ideal wedding ceremony and will do our best to make you keep fond memories of the most important day of your lives. 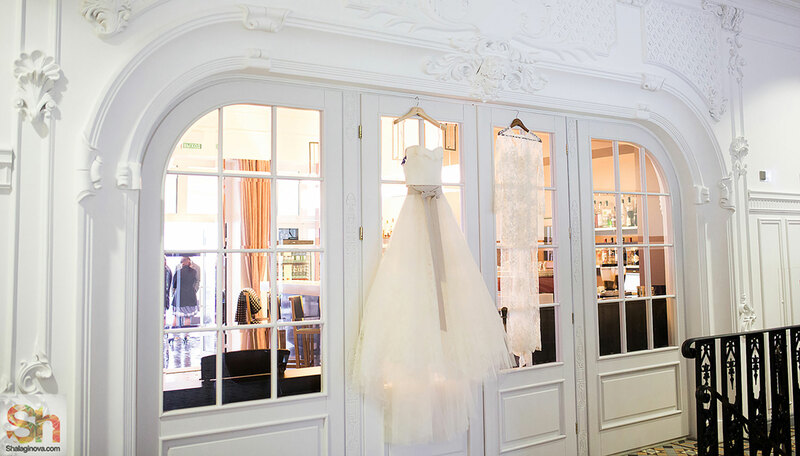 A mere sitting at the wedding in the Schloss Hotel is enough to feel aesthetic enjoyment, let alone holding your own wedding! A truly royal gift! 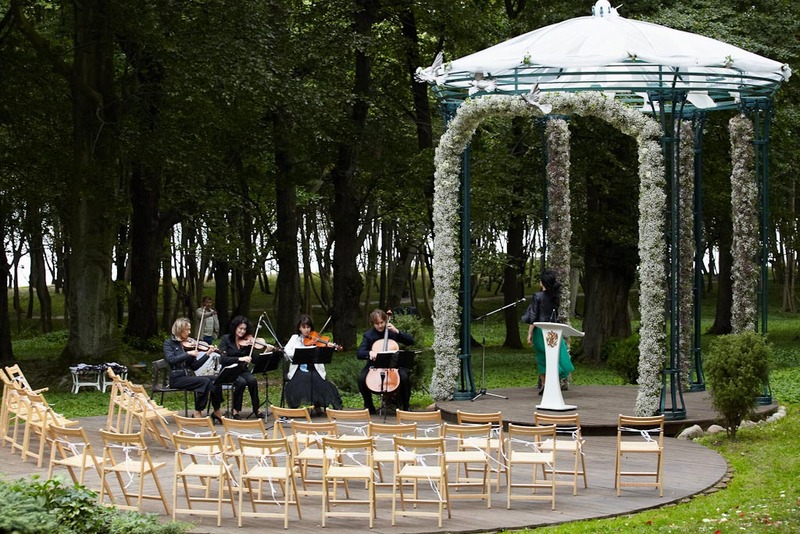 You can see about wedding arrangements of yourself – whether a visiting registration on the hotel premises, in the Becker’s park rotunda at the sea or a marriage service at the Church of Our Lady of Kazan. An up-scale lease of the historical building with 17 suites suggests a gala dinner at the soigne restaurant hall or a patio opening on the parkway and the sea. 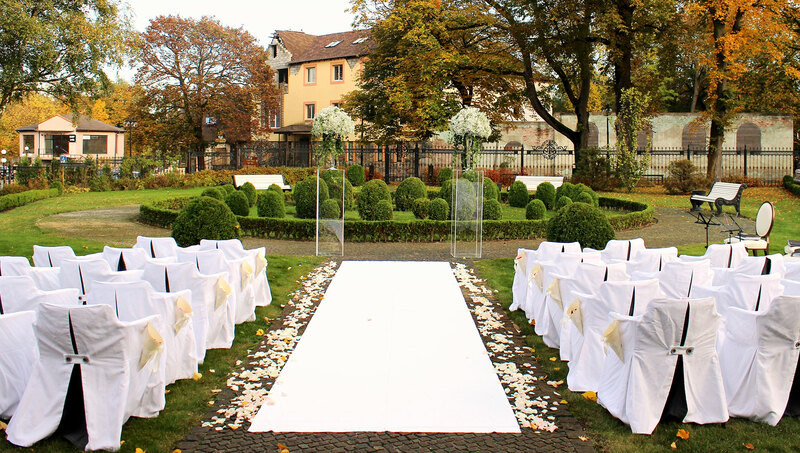 A symbolic marriage ceremony can be arranged in front of the picturesque facade or on the covered side terrace of the restaurant. 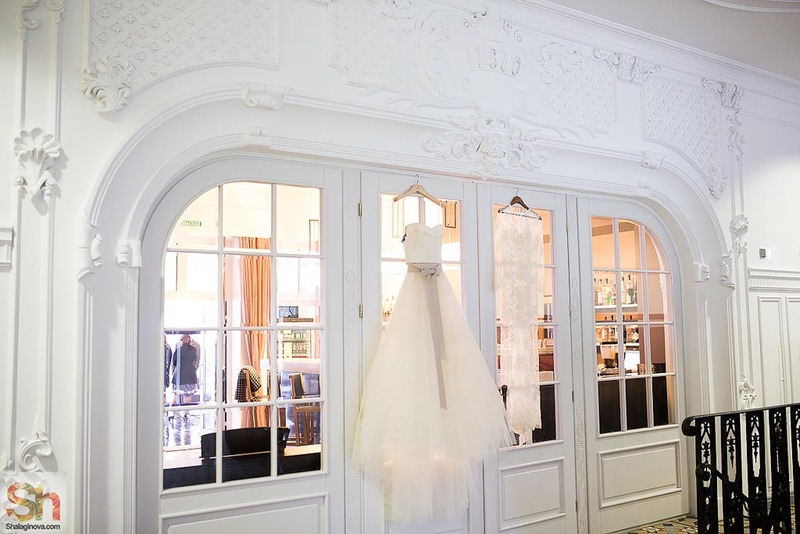 You may also choose to hold your wedding reception in the hotel’s stylish banquet hall found in the modern building with a view of the Becker’s park. Optionally, the symbolic wedding ceremonyand drink reception may be arranged on the covered terrace adjacent to to the modern edifice – just at the entrance to the banquet room. A wedding reception in the banquet room means by far more privacy for your event. For wedding festivity, you may make yourself familiar with the menus composed by our chef or have your own ideas realized with our assistance. All menus start with RUR 3000 a person, less beverages. The Hotel grants you as a present the accommodation with breakfast and enjoyment of the SPA zone with swimming pool, whirlpool, sauna and hamam. On the eve of the wedding we would suggest you to relax and relish in the Hotel SPA. At your service there are swimming pool, whirlpool, sauna, hamam and special relaxing procedures for body and face followed by a PJ party in a suite with champagne, desserts and watching favourite romantic movies. 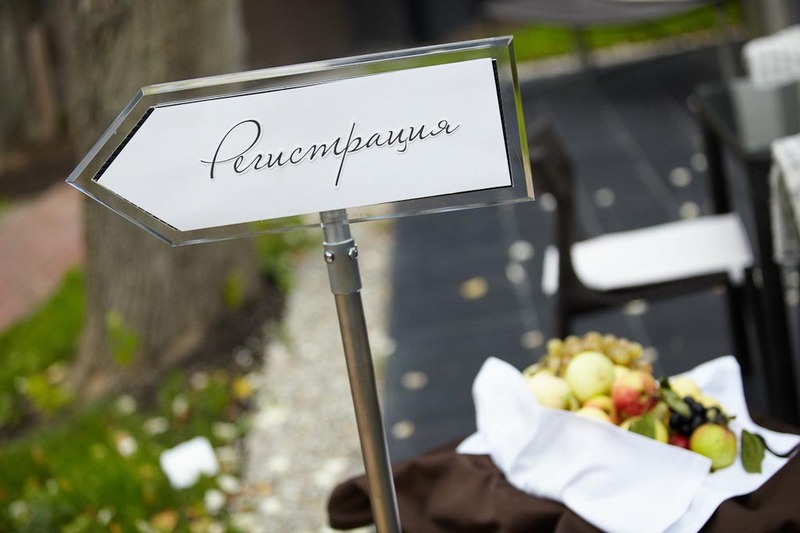 For the bridegroom and his friends we give a party on the roof of the hotel and on the summer terrace of the Senator Suite overlooking a terrific scene of the park and the sea. The party should be pepped up with a buffet table and strong digestives to your cigars.